When you play Phantasmagorian, any player may discard three cards. If a player does, counter Phantasmagorian. Discard three cards: Return Phantasmagorian from your graveyard to your hand. Bazzul I love the deck btw - though it won't likely compete with Godo, that's ok.
Dear God, why am I giving advice on this deck? I've crunched the numbers and currently your mana cost for the entire build is 72 - the minimum mana cost for using naus is like 52(?) I believe. So the likelihood of you having enough mana's worth in hand to reliably cast naus as a simpler method is just not going to work. Skeletal scrying for 30-odd would find you a decent chunk of what you're looking for, even giving you the chance to pitch Phantasmagorian without unmask. 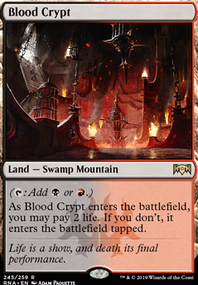 Increasing your consistency I'd recommend some basic stax: The Tabernacle at Pendrell Vale , Wasteland , Strip Mine ; some further lands you could consider: Myriad Landscape , Blighted Fen (for Bone Picker ), Bazaar of Baghdad , the new Blast Zone , Forbidden Orchard is a card that works collectively with opponents to block tymnas (you give them enough spirits that they can double-block to remove it / whatever you feel is necessary), Deserted Temple will make ritual lands faster, Scrying Sheets with snow-covered swamps will help you to dig for removal (albeit a bad mana sink). For real though, love the brew; I tried to work something out with Belzenlok when he got spoiled, so seeing this puts me to shame. Nice one. If you do that, I'd recommend Dregscape Zombie to have more Dread Return fodder btw. Also, since you need a lot of cards in the yard, maybe run Phantasmagorian . I'd toss in Phantasmagorian so if you Hermit Druid combo, and have a piece stuck in hand, you can still go off. You are correct, you did not use the dies to doomblade argument. You said "something with no haste that can be killed with Path to Exile or Terminate" - so my apologies, you did not use doomblade. Yes, indeed. 0 mana does not mean no cost, despite what you think. 2 Hollow One on t1 for zero mana does imply the card is free, except you have to get lucky to do it. Saying I should play more modern and that Bridge is a bad card, while ignoring what BridgeVine has done to the metagame in the last month is not a good idea. 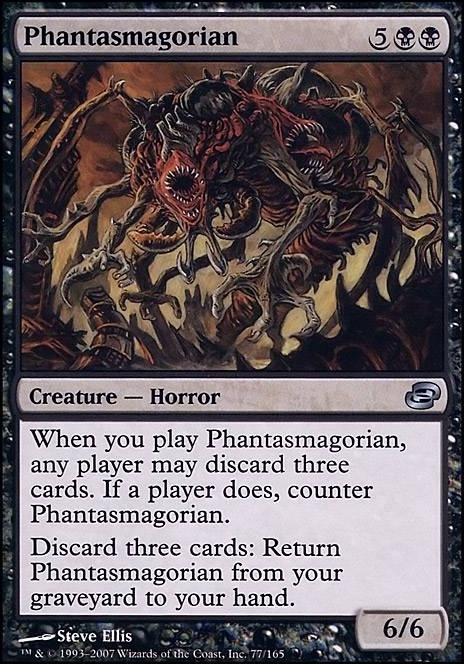 Phantasmagorian was mentioned because it is a part of the Legacy deck Oops, all spells, which I mentioned. 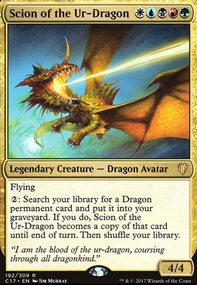 Unfortunately, in conjuction to Phantasmagorian (which is also played in certain legacy dredge variants), the deck has to play Dread Return, but that is impossible in modern. I mentioned that because Demon At Death's Gate is the closest thing to Dread Return that is legal in Modern. Back to the OG topic, I would agree, demons and eldrazi do not have much to do with each other. There are some that could be useful - Soulflayer could get a nice array of abilities, Shadowborn Demon will take out something and be huge, all at the cost of some eldrazi tokens, while Desecration Demon is the purest form of aggro demon. But I cannot find a single demon that really plays well with the eldrazi. Boza: i absolutely did not use the "dies to doomblade" argument. and your comment of "a 9/9 flying trample for 0 mana seems too good to be true" is a pure straw man, and ignorant at best. saying "0 mana" implies no cost, but 3 black creatures and 6 life is certainly a cost. there is zero respect to be had for Bridge from Below. its a bad card, plain and simple. 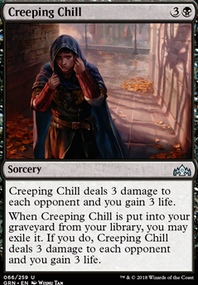 you gotta get it into your grave, get creatures out, wait for them to die, all while not being allowed to kill of your opponents threats for fear of losing your combo piece. thats just horrible. not sure what your point is in mentioning Phantasmagorian. you draw literally zero connection between the card and the current conversation, and it should be obvious why the card sees zero play. maybe you should actually play some modern before speaking about it. Sarkhan420 - the way to "cheat out" that demon is on the card itself. A 9/9 flying trample for 0 mana seems too good to be true. Also, you have to respect the synergy with Bridge from Below - modern has just a few free sac outlets and you have to try them out when possible. The cost of it is not insurmountable and 3 black creatures (ignoring the life cost, since life is a resource anyways). It is the card that can enable a "Oops, all spells deck" in modern. Heck, you have Phantasmagorian is a legal modern card that sees 0 play. It is one of those "almost there" creatures. I really have to revisit my DDG deck. TLDR: Do not use the "dies to Doomblade" argument.